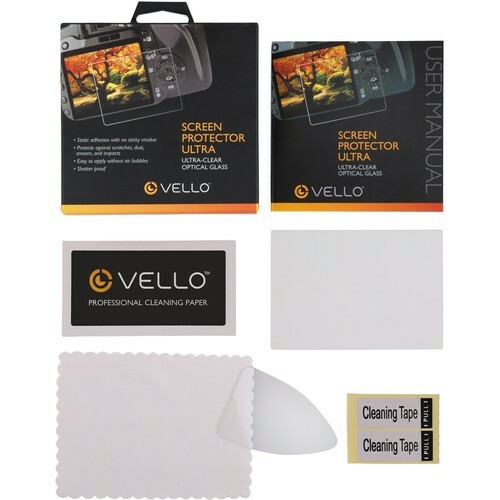 This LCD Screen Protector Ultra from Vello is a sheet of ultra-thin (0.02") optical glass used to protect the LCD monitor of a Nikon D5100 or D5200 camera. Its static adhesion method leaves no sticky residue behind on your screen. 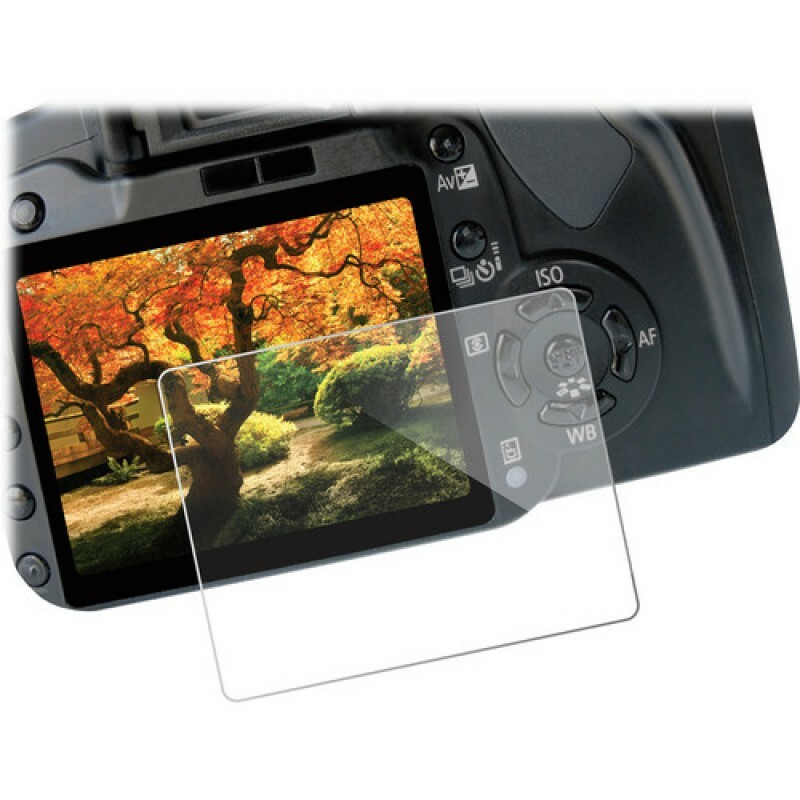 Multiple layers of protective material shield your display from dirt, scratches, sweat, smears, and light impact. The shatter-proof glass blocks UV rays while allowing visible light in. 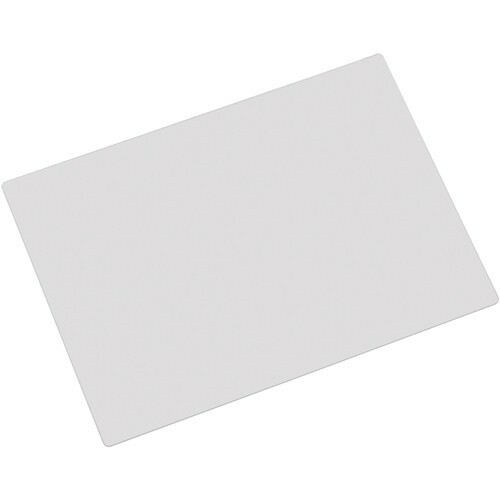 It is easy to install without trapping any air bubbles and is just as simple to remove. The protector can be easily cleaned using the supplied microfiber cloth and wet wipe.